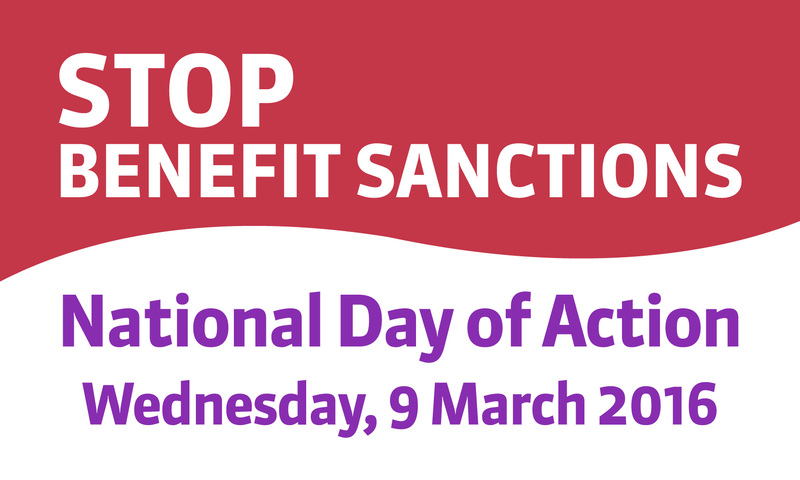 Below are materials for the upcoming National Day of Action against Sanctions on Wednesday 9th March. On 19 March Unite Community will be demonstrating outside the Barnsley DWP office to highlight the Coalition Government’s unfair and unjustified attacks on the benefits system and on the unemployed, the sick and disabled and their families who rely on these benefits. We ask you to support the action in any way you can. I want to emphasise that this demonstration is not aimed at DWP employees/PCS members who we know are under similar attack from this Government in terms of redundancy threat and squeeze on pay and conditions. We want to make common cause with you as out fight is your fight and vice versa. 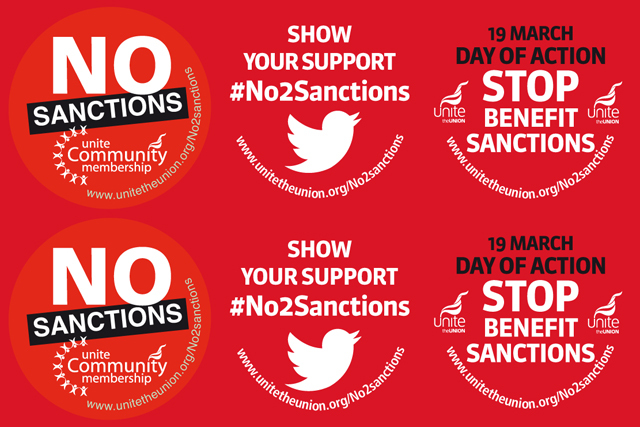 Instead this demonstration is aimed at the Government’s savage policy of cutting the £30 billion out of the benefits system and forcing people of benefits through measures like the cruel sanctions regime and the discredited Work Capability Assessment.